Langtang Gosaikunda Lake route is one of the most popular hiking trails in Nepal Himalaya. The trip to Gosaikunda, beautiful trekking route lies in the north of Kathmandu valley which is very renowned for both Buddhist and Hindus devotees and followers. Where a lot of pilgrims visit Gosaikunda Lake every year, on the Full moon day of the Bhadra (August). The devotees are celebrating Janai Purnima Mela, thousands of people worshiping to Lord Shiva can espy. Langtang Gosaikunda is also known as the gorge of glaciers with the natural and traditional beauty, the boon for locals and travelers. The Langtang Region provides the chance to enjoy the eye-catching the view of the hidden valley and awesome Himalaya vistas and the snow covered mountains like Langtang Lirung, Langtang Ri, Ganesh Himal, LangsisaRi, DorjeLakpa, JugalHimal, Gauri Shankar and much more. The Langtang Gosaikunda Trek offers you to learn about an astonishing: the Himalayan people’s lifestyle and culture. In Langtang region, you can observe the large number of ethnic communities, the mostly inhabitant of Tamang, Gurung, Sherpa and other tribes. The 18 day long Langtang Gosaikunda strenuous trekking itinerary, takes us in the sacred region of Gosaikunda Lake and the beautiful Langtang valley. Visit the beautiful Langtang National Park and Langtang Valley with the wonderful mountain views. The major attraction of Gosaikunda Lake trekking is the lush rhododendron, oak and bamboo forest, wild animals, majestic waterfalls, beautiful white giant mountains, holy lake, and river. Following the Trishuli River north out of Kathmandu city, this trail is the nearest trekking area from Kathmandu; the trekkers can get all natural and cultural experience of the Himalayan region. While trekking in the Langtang area you also see majestic and excellent views of Mount Everest (8848m), Manaslu, Annapurna, Gauri Shankar and much more. 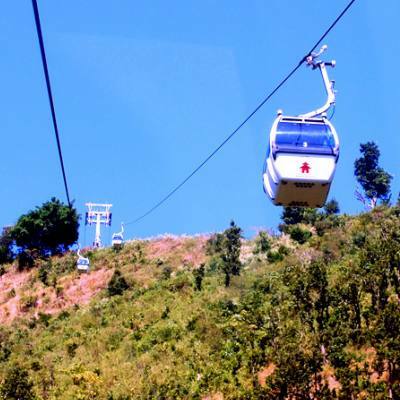 The amazing adventure trekking begins from the hill town of Syabrubeshi, you will drive from the ancient Kathmandu city. You drive north of the Trishuli River via Trishuli Bazaar and Dhunche-inhabitant of ethnic Sherpa and Tamang community- to Syabrubeshi, where the National Park is situated. We then head to Langtang valley, overpass the River, we trek through rhododendron and oak forest and Tamang village of Langtang. A little walk we reach up to Kyangin Gompa, many trekkers stops for overnight and to watch the local yak cheese factory. We continue trekking through Syabru and Sing Gompa to a high uphill (the sacred lake Gosaikunda is located). The best season to visit Langtang Gosaikunda Lake trekking is autumn (October- November) and spring (March-May). At this time, the weather is warm and sunny with excellent views, but the nights will be a slight cold. Winter (December- February) is also nice for this trip, but it is too cold throughout the trek. The beautiful and unique Langtang Gosaikunda trek will be run by our active and well English speaking mountain experience trekking guide. We provide Langtang Gosaikunda Lake trekking map and manage your accommodation during the trekking on the mountain and only breakfast in the hotel in Kathmandu. We have been providing best quality service in the Langtang Gosaikunda trekking and also the best and affordable cost for all visitors. Hopefully, you will enjoy the Langtang Gosaikunda trip with culture and nature experience. Nepal Glacier Treks and Expedition always has been following the customer feedback, that is you can read easily review on our website. Day 02Pre- trip meeting and Sightseeing in Kathmandu On this day, after breakfast in the morning, at around 8am, we call a pre-trip meeting at your hotel in Kathmandu and introduce your trek leader/guide. Please get this opportunity to ask questions about your trek, tour and important things. In the meeting, please make sure you bring passport, three copies of passport-size photos, and a readable copy of your travel insurance policy. During this meeting and please clear the due balance. After meeting we will begin our Kathmandu valley sightseeing including the cultural and historical site of Kathmandu Durbar Square, Patan Durbar Square and largest legendry Buddhist stupa of Swyambhunath and Bouddhanath, and very famous sacred hindu temple of Pashupatinath which are listed in world heritage sites by UNESCO. 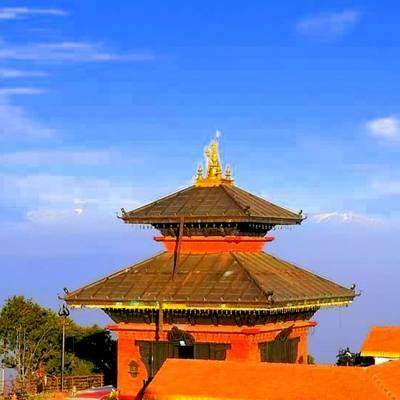 If we have plenty time, will visit Bhaktapur Durbar Square- it is city of Devote and you can also buy personal trekking equipment as you will be leaving for the Himalayas trekking and trekking preparation. And then back to hotel then have a pleasant stay at overnight in Kathmandu. Day 03Drive to SyabruBesi (1550m) 145km/ 7hour After breakfast in the morning, we will head north- west from Kathmandu valley by drive with views of forested hills, paddy fields, rustic village, mountain lifestyle and River. Take Lunch at the Trishuli Bazar before continuing further to Dhunche. From here, we descend down to Syabrubeshi where can see Sherpa people and village. Overnight stay at lodge in Syabrubeshi village. Day 05Trek to Langtang Village (3430m) 6hour via GhoraTabela On this day after breakfast, we begin our trekking towards the village of Langtang. Where headquarter of Langtang National Park is located. Today leaving the Lama Hotel, we continues along dense forest where can see oak, pine and rhododendron. The trails goes up and down further to Ghora Tabela and Thangshyap, the trail head to Langtang village from there, we can get 180 degree view of Langtang Lirung Mountain. This Langtang village was severely affected the earthquake last year and little tea- houses are reopened and rise the Langtang valley again. But we give you 100% full accommodation while trekking in this region and you can get chance to explore the earthquake affected area while on trekking. You must visit this region because of Natural and Cultural site are waiting you for explore. Overnight stay at lodge in Langtang village. Day 06Trek to KyangjinGompa (3900m) 2- 3 hours On this day after breakfast, we will start our trekking to Kyangjin Gompa, which is the principal monastery of the region. On the way, you can see water mills, chorten, prayer wheels with inscriptions carved sacred mounds of rocks. There are also pass the largest mani wall, which is made from stone with prayer written on them. After the short hike, you will reach the Kyangjin Gompa and take a rest and then afternoon you can visit surrounding with the Buddhist shrine and close- up an amazing views of the mountains. Overnight stay at lodge in Kyangjin Gompa. Day 07Trek down to Lama Hotel (2480m) 5- 6 hours Today, we will begin our return trip on this way. On this day, all the way downhill but you can see excellent views of spectacular mountain which is you have missed on the way up. We suggest you, take more time and walk slow and downhill trek will you reach the Lama Hotel about 5- 6 hours. Also need to cross Langtang Khola and Langtang village. Overnight stay at Lodge in Lama Hotel. Day 08Trek to Thulo Syabru Village (2260m) 5- 6 hours Today, we will lower down through Rimche and cross the Bamboo Lodge to reach Thulo Syabru. The trails goes down to river, we will cross the Langtang Khola and walk up to Thulo Syabru. On the way, we will pass through Juniper and pine forest with majestic view of Langtang Himal and more. Overnight stay at lodge in Thulo Syabru. Day 09Trek to Shin Gompa (3350m) 4- 5 hours On this day, after having breakfast and we leave Thulo Syabru for Shin Gompa. Today we can see school ang Gompa to Dursagang and crossing the dense forest of hemlock, oak and fir, we will reach the edge at the top of Foprang danda. We will walk continues further to Shin Gompa via the Government Agriculture Office. After passing up and down trails and seeing fantastic views of mountain and Langtang valley will reach you Shin Gompa. Where another Buddhist monastery located and next day are can explore cheese factory in the near village of Chandanbari. Overnight stay at lodge in Shin Gompa. Day 10Trek to Gosaikunda Lake (4380m) 5- 6 hours Today, the trail goes up smoothly through rhododendron covered forested area. 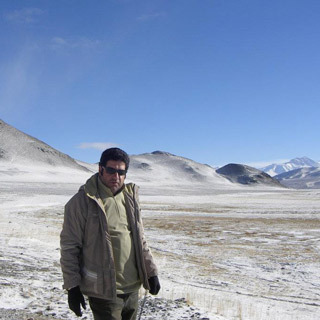 The area located in between the Shin Gompa and Laurebina, there are we can see endangered species and other animals. Chance of high altitude sickness exists while climbing Laurebina. We will continue our trek along the beautiful path that offers view of beautiful Saraswatikunda and Bhairabkunda and Gosaikunda. Explore around the beautiful lakes and overnight stay at lodge in Gosaikunda. Day 11Trek to Gopte (3440m) 6- 8 hours Today is little it challenge day, we need to climb rough and rocky path. Passing three more small lakes, the trail head up and cross Laurebina Pass (4610m). After crossing the pass, the trail descend to phedi and we will continue walk up and down throughout rocky hills, rhododendron and pine trees. Upon arriving at Gopte, you will stay at lodge in Gopte. Day 12Trek to Kutumsang (2470m) 6- 8 hours Today, we will head towards to Kutumsang with the passing beautiful view of mountain and some small ideal village. We walk up the rocky path for about 2 hours to reach Thadepati pass through the forest of pine and juniper to reach the steep slope. We will walk continue further to Magengoth where Army post is located. After crossing rocky path, lush green vegetation and fir and rhododendron trees to reach Kutumsang. Overnight stay at lodge. Day 13Trek to Chisapani (2215m) 6- 7 hours We leave Kutumsang for Chisapani is the very famous to Nepali and foreigner tourist for short trekking and hiking. From there, we can see beautiful Himalaya’s vista. We continue walk through the Gul Bhanjyang and Chipling to Patibhnjyang. Where we can see ethnic Tamang village and other cast, and walking further, we will lower down to Chisapani. Overnight stay at lodge. Day 14Trek to Sundarijal (1460m) and drive back to Kathmandu We will climb the BorlangBhanjyang(2440m) and reach Army Check Post. Shivpuri Entrance Permit is checked at this post. We will walk further through Mulkharka(1800m) to Sundarijal, where we can see the large dam. Water from this dam is supplied to citizens in Kathmandu. And then we drive back to Kathmandu from the Sundarijal and you will be rest in hotel. Overnight stay at hotel. Day 15Free day in Kathmandu A day before your departure, you will have a free day in Kathmandu. On this day, you can either have a full day of rest at the Hotel or else you can stroll on the streets of Thamel and Basantapur area and buy souvenirs and gifts to your loved ones back home. You can even have the pleasure of rickshaw ride in the Capital. In the evening, enjoy a farewell dinner with local food and cultural show, and overnight at hotel.